This week on leading entertainment TV program, The Big Friday Show, Rave of the moment, Burna Boy joined comedian and host, Basketmouth. The UK returnee and ladies man spoke about his music career and his epic break to fame with his “Like to Party” track. Burna also answered questions from viewers in the ASK/REPLY segment as he played a game of foosball with Basket Mouth. Also on this episode, the BFS crew got young and energetic Dammykrane to play a very hilarious prank on Burna Boy bringing out an interesting side of this week’s studio guest. Following the tradition of the show, young rapper, Teddy Temz was the upcoming act of the week as he faced this week’s studio challenge and got the chance to showcase his impressive talent. The BFS crew went all out again this week on the Celeb Surprise segment as lucky Glo subscriber, Monday surprised his wife, Eno with a surprise visit from award winning singer, Ego. The sultry singer also took Eno for a quick session in the studio. Bubbly Vlogger, Stephanie also gives the latest entertainment news around the globe on the vlog segment. 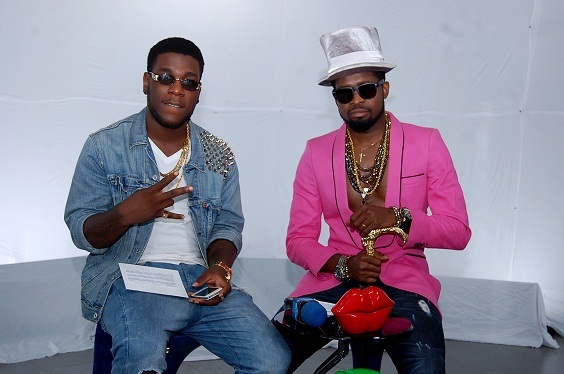 Other segments on the show include the weekly countdown of Nigerian hit tracks on the Big Friday Show countdown. Catch The Big Friday Show 8 every Friday on MTV Base at 8:30pm CAT. In Nigeria on STV at 6pm and11pm. In Ghana on Viasat1 TV at 5pm and in Benin Republic on ORTB at 9:30pm.